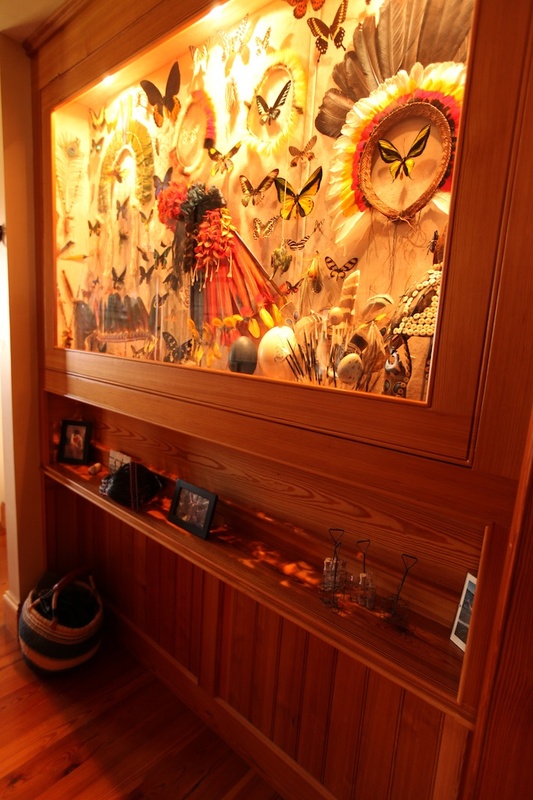 Built as a display cabinet, this piece was designed not only to showcase the owner’s insect collection, but more importantly, to protect the collection. 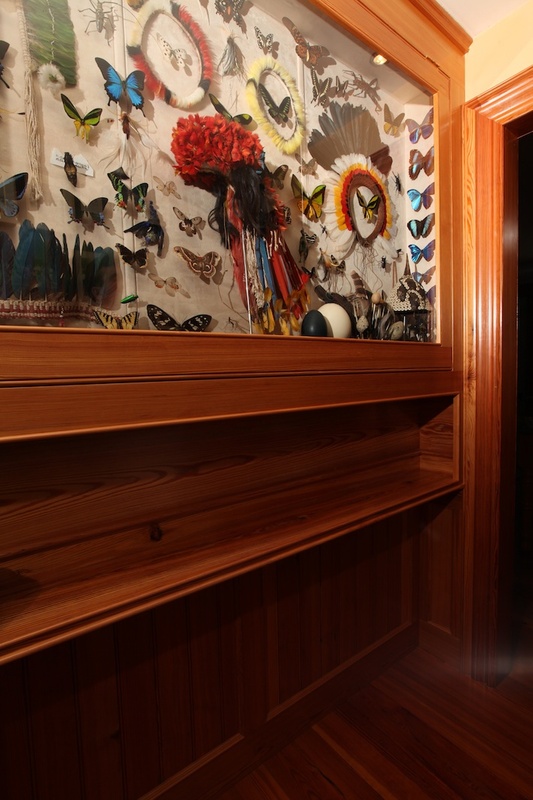 The cabinet, as well as the walls surrounding the collection are built to a tolerance to seal the space and provide a safe interior atmosphere for collection fumigant to be used. The unit is made of recycled hard pine and the glass is tempered for safety. 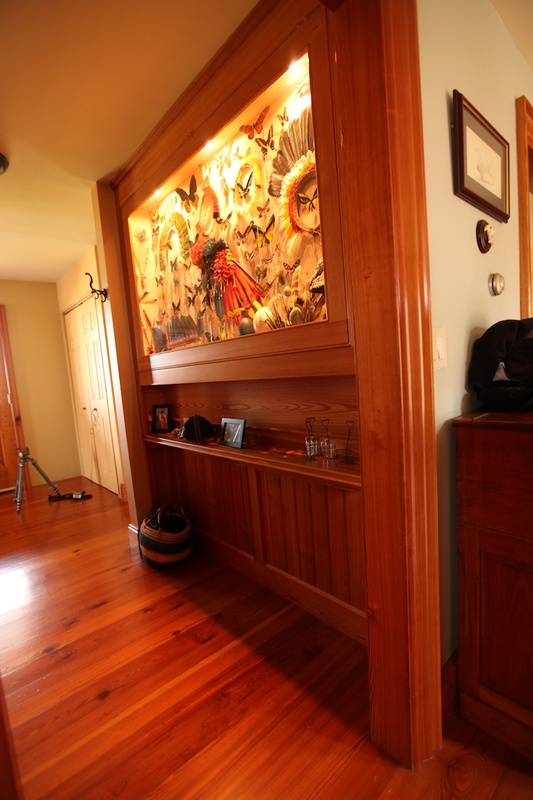 The interior walls are lined with pining board and upholstered. The display is interior lit.